Google on Monday announced that the global rollout of Android Messages for Web is now complete. Following an announcement by Google, and months of rumours Google had officially started rolling out Android Messages for Web last week. The company had informed that the new feature had started to roll out and should be available globally by this week. Now, Google has officially confirmed the rollout is complete, and that users need to update the Android Messages app to the latest version in order to avail the feature. With the update, sending and receiving SMS and RCS (Rich Communication Services) messages from a PC will become easier for Android users. Android Messages is also expected to compete with apps like WhatsApp and Facebook Messenger, both of which are chat apps with desktop versions. 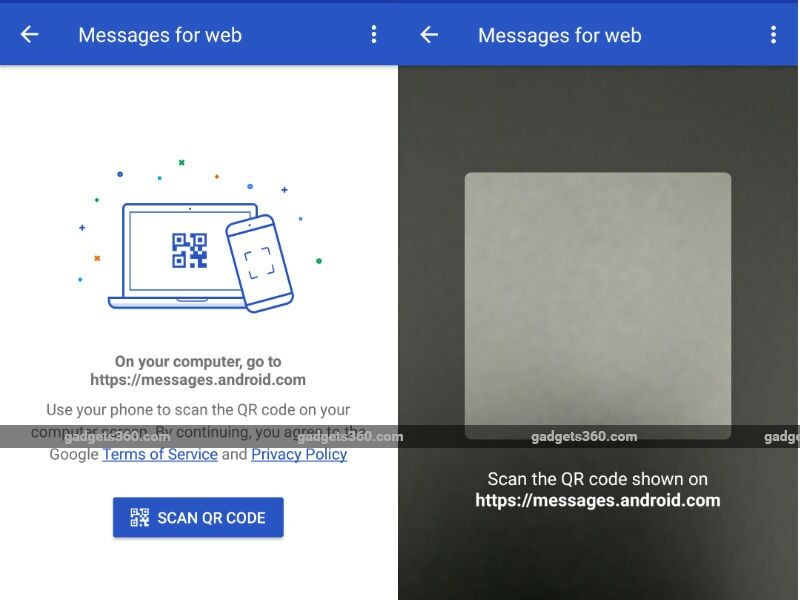 While announcing Messages for Web as a brand-new feature for Android Messages, Google had mentioned that text, images, and stickers are all supported on the new Web version. This is also Google’s first major step toward “Chat”, the company’s addition of Rich Communication Services (RCS) inside Android Messages. Notably, the new feature is available in version 3.3.044 of the Android Messages app. As mentioned, to use the new feature you will have to install the latest version from Google Play. On your PC, go to the Android Messages for Web site where you will need to scan a QR code using the Android Messages mobile app. To scan the QR code, go to the Messages app on your phone and tap the three-dotted menu on the top-right corner. Further, select Messages for Web. This methodology is similar to the WhatsApp Web interface. It is worth noting that apart from checking all your past messages and creating new ones, you will also be able to receive Android Messages desktop notifications on the Web. Supported browsers at launch include Chrome, Firefox, Safari, and Microsoft Edge, Google had already informed earlier. Also, your latest conversation threads, contacts, and other settings will be encrypted and cached on your browser, Google had claimed. Additionally, if you don’t use your Messages account for 14 days, you will automatically be signed out.